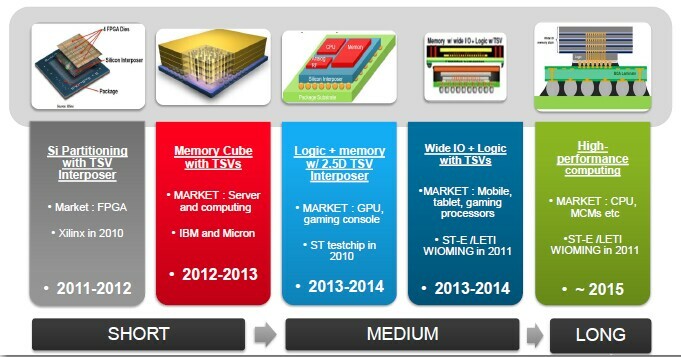 « IFTLE 134 SEMI 3D European Summit – Is the Wide IO Driver Dead ? 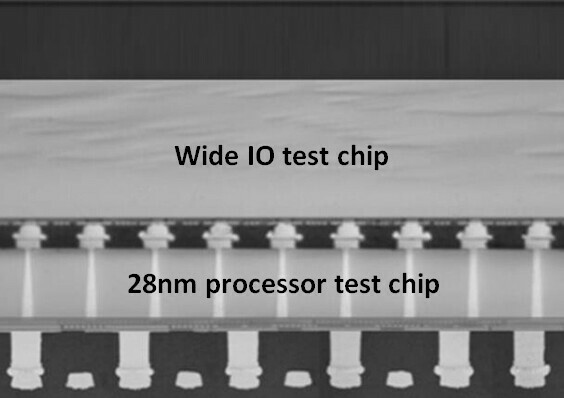 UMC and STATS ChipPAC (SCP) have announced a jointly developed TSV-enabled 3D IC chip stack consisting of a Wide I/O memory test chip stacked upon a TSV-embedded 28nm processor test chip. This was developed under open ecosystem collaboration using UMC’s foundry capability and STATS ChipPAC’s packaging capabilities. Representatives of UMC and SCP both declined to indicate where the memory came from, but did say that they were working with customers to commercialize this product. Suresh Ramalingam, Sr Dir of Adv. 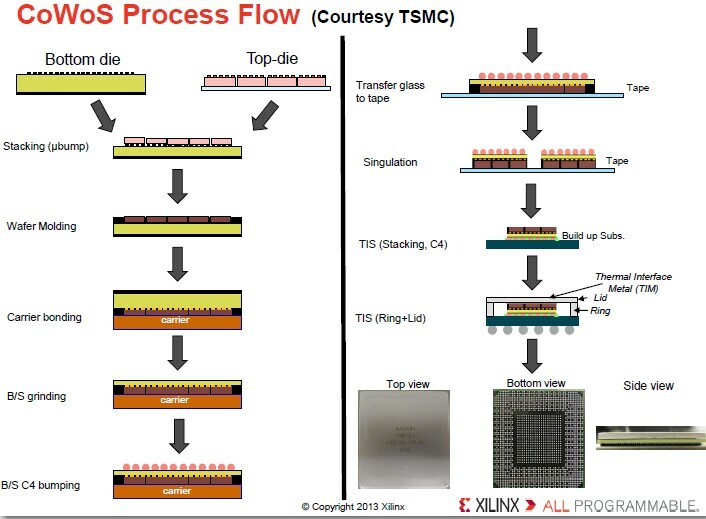 Packaging shared a nice slide on the CoWoS TSMC process being used to fab their Virtex-7 2000T FPGAs. and their short, medium and long term look at TSV application space. 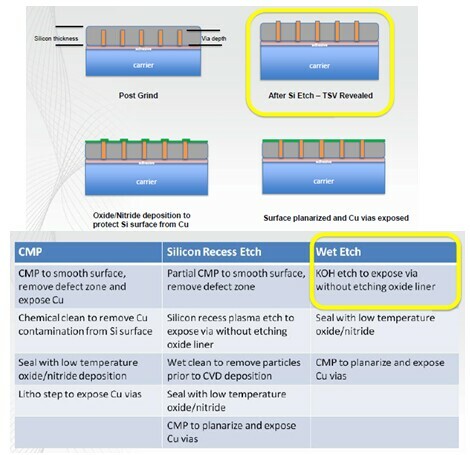 Laura Mauer of SSEC compared post grind TSV reveal options noting that KOH etches Si at 3-4X the reate of TMAH without touching SiO2 or copper. Dave Butler of SPTS also addressed the via reveal step. Dave contends that “standard” low temp TEOPS oxide is unstable over time absorbing water and showing increases in electrical leakage and refractive index changes. They recommend their “stable” LT TEOS oxide which they claim shows no drift in electrical properties, no changes in stress and no water absorption over time. 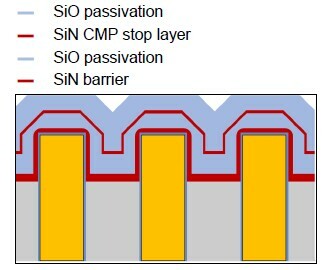 They also recommend using SiN as an etch stop layer to get up to 30% higher throughput. For all the latest in 3DIC and advanced packaging stay linked to IFTLE….